Last week we have been in Płock, where Transition Technologies PSC presented brand new Augmented Reality solutions at the XXIVth Scientific and Technical Symposium “Chemistry 2018”. 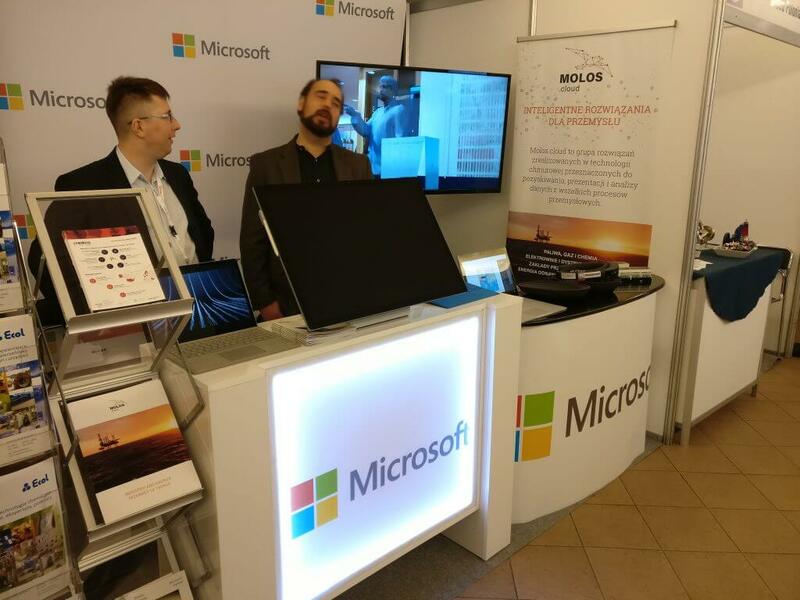 Our delegation of best IoT/AR specialist, composed of: Magdalena Potoczna, Grzegorz Kędzior and Błażej Dunajczyk was invaluable support on our stand which we shared with our partner – Microsoft company. Where we aroused a sensation presenting the possibilities of HoloLens glasses and methods for their practical use in every industry. To better illustrate our achievements we have presented project we made for L’Oreal. 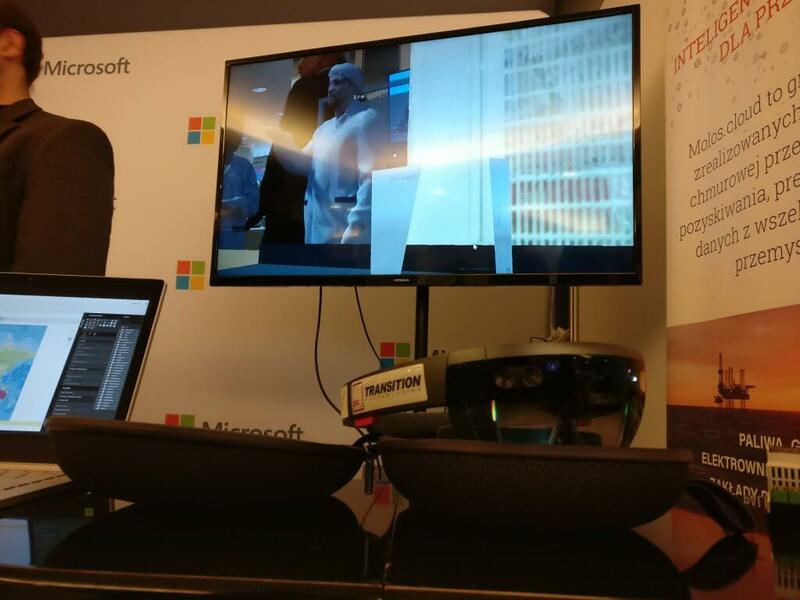 Every person, who would like to check functionality of Microsoft HoloLens, could get acquainted with virtual production line and look on then very close. Many, very insightful questions, that our audience asked us about, confirmed us in believe how big capabilities give Augmented Reality in technical crew training – a specially in situations where installations and machines are located in many places all around the world when servicing process of then is a very complicated technician and logistic operation. 20-meters long, animated production line aroused people’s interest not only on our exhibition stand, but also along whole main debate on the stage. 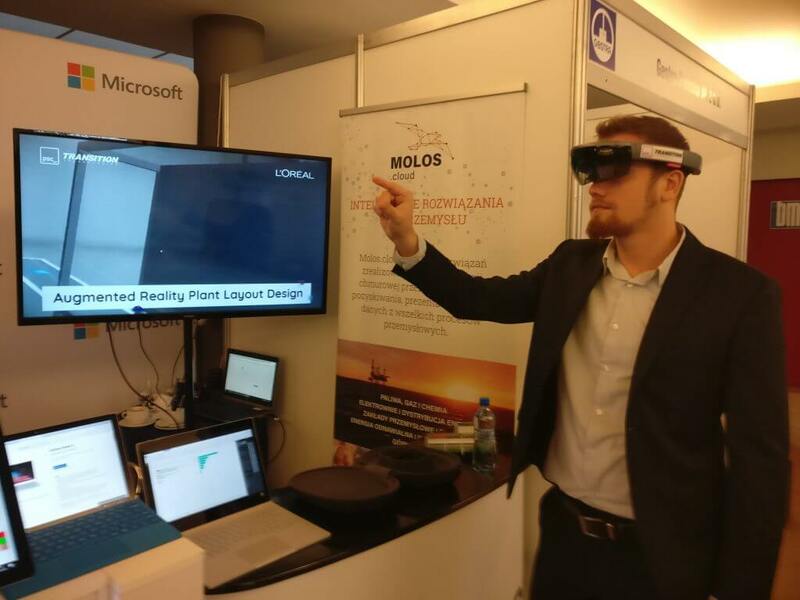 Krystian Pater, Member of the Board for Production PKN ORLEN S.A., putted on HoloLens glasses and after when ha have seen our AR project, he started discussion about possibilities of using Augmented Reality in petrochemical industry. For all people who are interested in Industry 4.0 we would like to recommend to watch video record of whole debate. The quoted examples of projects already implemented in the chemical industry and AR applications for increasing efficiency and facilitating the work of maintenance specialists, show how the boundary between automation and IT is blurring. 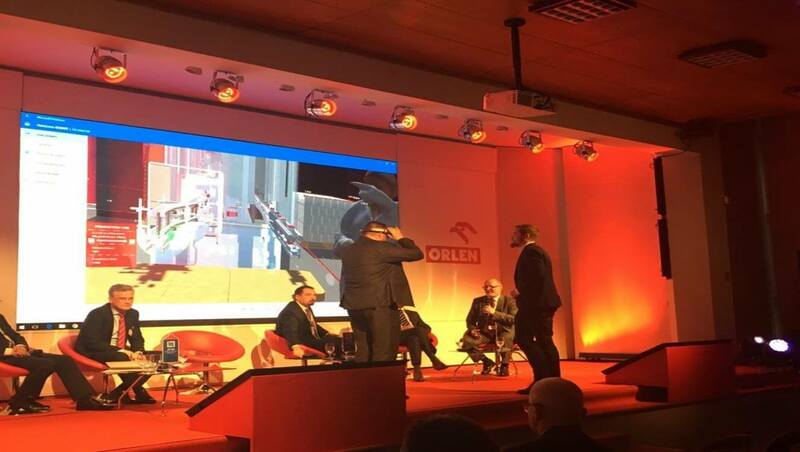 We encourage you to see the whole debate, and for those who are interested in the fragment about IoT and AR in the chemical industry – link to the relevant fragment: Debate – Future of the Refineries. More information, includes whole relation, you can find here.